Australian heart surgeons and medical volunteers during the special dinner organised in Suva by the Minister for Women, Children and Poverty Alleviation Rosy Akbar. 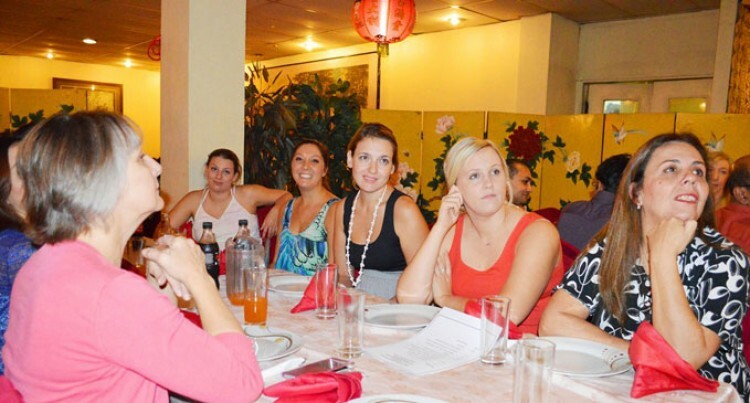 The Ministry of Women, Children and Poverty Alleviation hosted the 52 Australian heart surgeons and medical volunteers to dinner last Friday at the New Peking Restaurant in Suva. The surgeons and volunteers had been conducting open heart surgeries at the Colonial War Memorial Hospital. The dinner was organised by Minister Rosy Akbar. It allowed exchange of ideas between Ms Akbar, the visitors, Children’s Heart Foundation and Ministry officials. Ms Akbar thanked the team from Open Heart International for assisting Fijian families. “It was a great opportunity for me to have firsthand experience of your expertise and indeed and honour that you have offered your service to our country. The Ministry continues to support the Walk for Life initiative and it is through Michael Fong that we were able to raise awareness on the Congenital Heart Disease. Open Heart International project co-ordinator Melanie Windus said it was a privilege for the team to use their skills to help save lives. “The amazing thing about this group of volunteers is that some of us have never met each other before and we came together for one common goal. That is to help the people of Fiji, particularly children. During the last few days, the two teams have operated on 36 patients – 24 were children. “It was about making a difference in the lives of these families. We are already planning on coming next year and we look forward to this continued support from the Ministry in assisting families in Fiji,” Ms Windus said. In March, the Ministry donated $5000 to support the, ‘Walk for Life’ initiative mooted by Mr Fong whose son died from Congenital Heart Disease. “As a way forward, we are putting together a database so that we can monitor and further assist the families of children who went through the operation. The cardiac team consists of doctors from Australia and they have done an excellent job. I thank Minister Akbar for her continued support towards Walk for Life. Without her support, we wouldn’t have come this far” Mr Fong said.